Relax and enjoy a therapeutic massage any time of the day with the MCS-125-THP HoMedics Shiatsu Massage Cushion. It has a moving massage mechanism that travels up and down your back and envelopes your muscles. It also delivers soothing heat, helping you release tension and stress, leaving you feeling rejuvenated and revitalized. 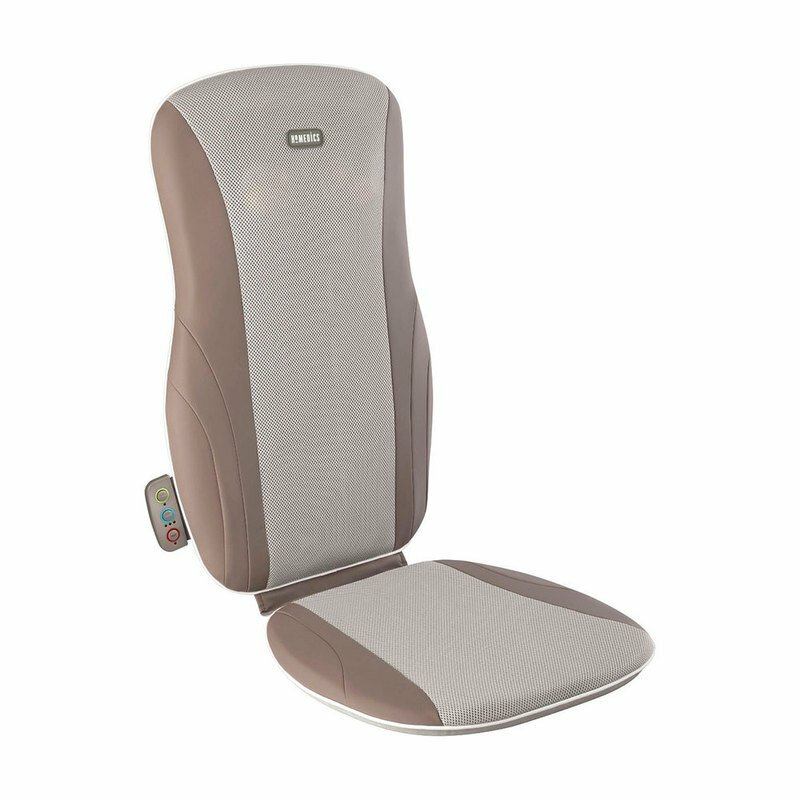 Full, upper or lower massage zones can be easily selected on this Thera-P HoMedics Shiatsu cushion, using the programmable remote control. Get the relaxation that you deserve with this wonderful device, which comes with integrated hand controls. The included strapping system will fit on most chairs in your home. The cushion also comes with detailed instructions.